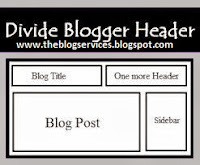 A header consists of every single part that appears at the top of your blog. This is often the very first thing that every visitor notice when arriving at your page. You may want to make your header look presentable and professional to add more confidence to your reader’s impression with your blog or site. It is a container which comprises two important parts which are Logo piece where the title is added, logo and recount of blog and the second piece encompasses Navigation list where you add location links. That is what we are about to do in order to create a separate widget section for your advertisement purposes. Normally we often add a 468 by 60 size banner to the right side and we therefore need a widget section for it. 2. Uncheck the "Expand Widget Templates" box if in case it is checked. 4. Now replace this entire code with the following code below.. It must contain the tags.